59. Susannah HORRY  (Elizabeth PICKER28, Sarah MAPLES12, Susannah WILSON8, James WILSON II7, James WILSON I6, Edward WILSON5, Elizabeth COWPER4, Robert COWPER3, Joanna HUSKINGSON2, Johannes1) was born in 1825 in Navenby Lincolnshire England and died in England. Susannah married BRISTOW  [MRIN: 32087] in 1844 in March Cambridgeshire England. 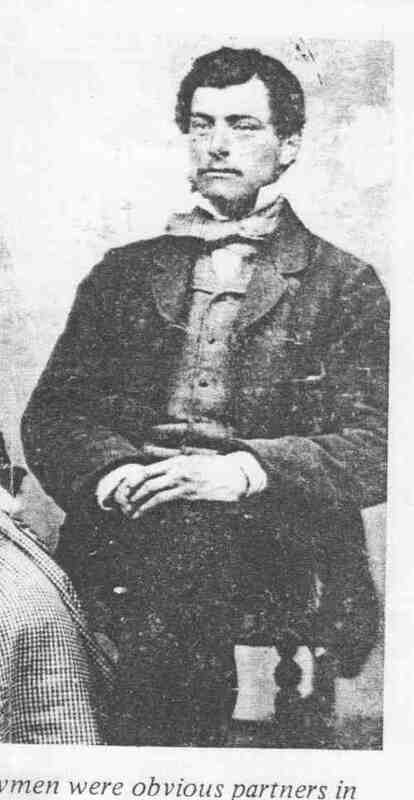 BRISTOW  was born in 1821. 63. George Maples FOX  (George Morris FOX45, Frances MAPLES15, Susannah WILSON8, James WILSON II7, James WILSON I6, Edward WILSON5, Elizabeth COWPER4, Robert COWPER3, Joanna HUSKINGSON2, Johannes1) was born on 6 Jan 1820 in Huntingdon Huntingdonshire England, died on 17 Aug 1878 in Lincoln Lincolnshire England at age 58, and was buried on 21 Aug 1878 in Canwick Road Cemetery Lincoln Lincolnshire England. George married Harriet COLLIS  [MRIN: 31999] on 2 May 1854 in England. Harriet was born in 1825 in Chelmsford Essex England, died in Dec 1887 in Lincoln Lincolnshire England at age 62, and was buried on 8 Dec 1887 in Canwick Road Cemetery Lincoln Lincolnshire England. 103 M i. George Ashton FOX  was born on 20 Aug 1855 in Peterborough Cambridgeshire England and died after 1889. 1881 Living with his Uncle, John Fox, at Peterborough. The family lost contact with them after 1889. George married Elizabeth UNKNOWN  [MRIN: 32000]. + 104 F ii. Fanny Susanna Cotton FOX  was born on 29 Mar 1857 in Lincoln Lincolnshire England and died on 21 Aug 1927 in Lincoln Lincolnshire England at age 70. + 106 F iv. Alice Elizabeth FOX  was born on 13 Mar 1861 in Lincoln Lincolnshire England and died after 1916 in England. 107 F v. Edith Mary FOX  was born on 29 Sep 1862 in Lincoln Lincolnshire England and died on 10 Oct 1896 in Lincoln Lincolnshire England at age 34. 64. Charlotte FOX  (George Morris FOX45, Frances MAPLES15, Susannah WILSON8, James WILSON II7, James WILSON I6, Edward WILSON5, Elizabeth COWPER4, Robert COWPER3, Joanna HUSKINGSON2, Johannes1) was born on 1 Jan 1821 in Huntingdon Huntingdonshire England and died on 4 Apr 1903 in Bedford Bedfordshire England at age 82. Charlotte married Thomas DARLOW  [MRIN: 32007] on 28 Jul 1857 in St George's Huntingdon Huntingdonshire England. Thomas was born on 6 Jan 1820 in Ramsey Huntingdonshire England and died on 21 Nov 1897 in Ramsey Huntingdonshire England at age 77. + 108 M i. Rev. Thomas Herbert DARLOW M.A. was born on 26 Apr 1858 in Ramsey Huntingdonshire England and died on 24 Oct 1927 in Naples Campania Italy at age 69. + 109 M ii. William Walter DARLOW  was born on 26 Apr 1858 in Ramsey Huntingdonshire England, died on 16 Mar 1934 in Bedford Bedfordshire England at age 75, and was buried on 19 Mar 1934 in Bedford Bedfordshire England. + 110 F iii. Charlotte A Emily DARLOW  was born on 3 Dec 1860 in Ramsey Huntingdonshire England and died after 1911 in England. 111 F iv. Edith Mary DARLOW  was born on 27 Aug 1862 in Ramsey Huntingdonshire England and died after 1916 in England. Edith married Augustus HILL  [MRIN: 32008] in 1890 in England. Augustus was born circa 1850 in Bedford Bedfordshire England and died after 1911 in Bedford Bedfordshire England. + 112 F v. Clara Julia Minnie DARLOW  was born on 23 Mar 1864 in Ramsey Huntingdonshire England and died after 1916 in England. 66. Thomas Lewis FOX  (George Morris FOX45, Frances MAPLES15, Susannah WILSON8, James WILSON II7, James WILSON I6, Edward WILSON5, Elizabeth COWPER4, Robert COWPER3, Joanna HUSKINGSON2, Johannes1) was born on 5 Dec 1823 in Huntingdon Huntingdonshire England and died on 3 Dec 1877 in Sydenham Kent England at age 53. • Residence at Death: in Lordship Lane, 3 Dec 1877, Sydenham Kent England. Thomas married Clementina Frances WHITE  [MRIN: 32021] in 1851 in England. Clementina was born circa 1822 in Surrey England and died after 1871 in England. 113 F i. Elizabth Ashton FOX  was born in 1853 in Middlesex England and died circa 1919 in England at age 66. 114 F ii. Mary Helen FOX  was born in 1855 in England and died in Jun 1929 in England at age 74. 68. John FOX  (George Morris FOX45, Frances MAPLES15, Susannah WILSON8, James WILSON II7, James WILSON I6, Edward WILSON5, Elizabeth COWPER4, Robert COWPER3, Joanna HUSKINGSON2, Johannes1) was born on 30 Sep 1826 in Huntingdon Huntingdonshire England, died on 25 Sep 1891 in Peterborough Northamptonshire England at age 64, and was buried on 28 Sep 1891 in Peterborough Northamptonshire England. John married Harriet Ann SALMON  [MRIN: 32022], daughter of William SALMON  and UNKNOWN , on 7 Dec 1853 in Peterborough Northamptonshire England. Harriet was born circa 1820 in Peterborough Northamptonshire England, died on 27 Apr 1912 in Nottinghamshire England at age 92, and was buried on 30 Apr 1912 in Nottinghamshire England. 115 F i. Mary Elizabeth FOX  was born on 4 Apr 1855 in Peterborough Northamptonshire England and died on 19 Sep 1863 in Peterborough Northamptonshire England at age 8. 116 F ii. Annie Louisa FOX  was born on 4 Jun 1857 in Peterborough Northamptonshire England and died on 10 Oct 1857 in Peterborough Northamptonshire England. 117 M iii. John George FOX  was born on 31 Jan 1859 in Peterborough Northamptonshire England and died on 12 Sep 1863 in Peterborough Northamptonshire England at age 4. + 118 M iv. Frederick William FOX  was born on 18 Jan 1861 in Peterborough Northamptonshire England and died in 1914 in Nottinghamshire England at age 53. 72. Lucy FOX  (George Morris FOX45, Frances MAPLES15, Susannah WILSON8, James WILSON II7, James WILSON I6, Edward WILSON5, Elizabeth COWPER4, Robert COWPER3, Joanna HUSKINGSON2, Johannes1) was born on 17 Mar 1831 in Huntingdon Huntingdonshire England and died in 1897 in Hertfordshire England at age 66. Lucy married Thomas SALMON  [MRIN: 32027], son of William SALMON  and UNKNOWN , in 1857 in England. Thomas was born in Peterborough Northamptonshire England and died in 1870 in England. • Occupation: a Chemist, Peterborough Northamptonshire England. + 119 M i. George SALMON  was born circa 1858 in England and died in England. + 120 M ii. Arthur SALMON  was born circa 1860 in England and died in England. 121 F iii. Emily A SALMON  was born circa 1862 in England and died after 1924 in England. 122 U iv. SALMON  was born circa 1865 in England and died in England. 123 M v. William SALMON  was born circa 1868 in England and died in United States of America. • Immigration: the United States of America. 78. John Fox WARNER  (Elizabeth FOX46, Frances MAPLES15, Susannah WILSON8, James WILSON II7, James WILSON I6, Edward WILSON5, Elizabeth COWPER4, Robert COWPER3, Joanna HUSKINGSON2, Johannes1) was born on 1 Dec 1819 in Huntingdon Huntingdonshire England and died in 1864 in Wolverhampton Staffordshire England at age 45. The cause of his death was Smallpox. John married Mary Ellen MAILE  [MRIN: 32032] on 31 Jul 1845 in Huntingdon Huntingdonshire England. Mary was born circa 1822 in Huntingdon Huntingdonshire England and died after 1871 in England. 124 F i. Sarah Ellen WARNER  was born circa 1846 in Wolverhampton Staffordshire England and died after 1871 in England. 125 F ii. Caroline Ellen WARNER  was born circa 1848 in Wolverhampton Staffordshire England and died after 1864 in England. 126 F iii. Rosa A WARNER  was born circa 1850 in Wolverhampton Staffordshire England and died after 1871 in England. 127 M iv. Charles John WARNER  was born circa 1852 in Wolverhampton Staffordshire England and died after 1871 in England. 128 F v. Fanny L WARNER  was born circa 1845 in Wolverhampton Staffordshire England and died after 1881 in England. 129 F vi. Mary L WARNER  was born circa 1856 in Wolverhampton Staffordshire England and died in England. + 130 M vii. Matthew Richard WARNER  was born circa 1858 in Wolverhampton Staffordshire England and died after 1911 in England. 131 M viii. Edwin J WARNER  was born circa 1860 in Wolverhampton Staffordshire England and died after 1881 in England. 132 U ix. WARNER  was born in Wolverhampton Staffordshire England and died in England. 80. Charles Edwin WARNER  (Elizabeth FOX46, Frances MAPLES15, Susannah WILSON8, James WILSON II7, James WILSON I6, Edward WILSON5, Elizabeth COWPER4, Robert COWPER3, Joanna HUSKINGSON2, Johannes1) was born on 29 Dec 1822 in Leicester Leicestershire England and died after 1871 in England. Charles married Anne POTTS  [MRIN: 32034] on 17 May 1853 in England. Anne was born circa 1826 in Royston Hertfordshire England and died from 1891 to 1901 in England at age 65. + 133 M i. Alfred Hipango Edwin WARNER  was born on 9 Apr 1855 in Osgathorpe Leicestershire England and died after 1901 in England. 134 M ii. Charles Henry WARNER  was born circa 1860 in Osgathorpe Leicestershire England and died after 1911 in England. Charles married Theodosia Eleanor  [MRIN: 32035] circa 1889 in England. Theodosia was born circa 1860 in Tipperary Co. Tipperary Ireland and died after 1911 in England. 81. Fanny WARNER  (Elizabeth FOX46, Frances MAPLES15, Susannah WILSON8, James WILSON II7, James WILSON I6, Edward WILSON5, Elizabeth COWPER4, Robert COWPER3, Joanna HUSKINGSON2, Johannes1) was born on 11 May 1824 in Billesdon Leicestershire England and died after 1851 in Melbourne Colony of Victoria. Fanny married Horatio Huntley HOSKINS  [MRIN: 32038] on 13 Aug 1845 in England. Horatio was born circa 1820 in Newton Park Nr. Burton-upon-Trent Staffordshire England and died in Melbourne Colony of Victoria. • Immigration: with his Wife, Melbourne Colony of Victoria. 135 M i. Edward HOSKINS  was born circa 1846 in Leicestershire England and died in England. 83. Charlotte Amelia WARNER  (Elizabeth FOX46, Frances MAPLES15, Susannah WILSON8, James WILSON II7, James WILSON I6, Edward WILSON5, Elizabeth COWPER4, Robert COWPER3, Joanna HUSKINGSON2, Johannes1) was born on 7 May 1828 in Saddington Leicestershire England and died after 1911 in Leicestershire England. Charlotte married Benjamin PAGE  [MRIN: 32039] circa 1852 in Smisby Derbyshire England. Benjamin was born in Smisby Derbyshire England and died before 1861 in England. 136 F i. Mary Amelia PAGE  was born circa 1853 in Smisby Derbyshire England and died in England. 137 F ii. Georgina Annie PAGE  was born circa 1854 in Smisby Derbyshire England and died in England. 85. Thomas Henry WARNER  (Elizabeth FOX46, Frances MAPLES15, Susannah WILSON8, James WILSON II7, James WILSON I6, Edward WILSON5, Elizabeth COWPER4, Robert COWPER3, Joanna HUSKINGSON2, Johannes1) was born on 2 Feb 1835 in Ashby De La Zouch Leicestershire England and died from 1873 to 1881 in Derbyshire England at age 38. Thomas married Mary H GOODMAN  [MRIN: 32040] circa 1867 in England. Mary was born circa 1838 in Ashby De La Zouch Leicestershire England and died after 1891 in England. 138 M i. Richard J WARNER  was born circa 1868 in Litchurch Derby Derbyshire England and died after 1891 in England. 139 M ii. William E H WARNER  was born circa 1870 in Litchurch Derby Derbyshire England and died after 1891 in England. 140 M iii. Walter C WARNER  was born circa 1870 in Litchurch Derby Derbyshire England and died after 1891 in England. 141 F iv. Marian A WARNER  was born circa 1873 in Litchurch Derby Derbyshire England and died after 1891 in England. 88. Dr. Henry Erasmus FOX M.D. (Dr. Robert FOX M.D.47, Frances MAPLES15, Susannah WILSON8, James WILSON II7, James WILSON I6, Edward WILSON5, Elizabeth COWPER4, Robert COWPER3, Joanna HUSKINGSON2, Johannes1) was born on 28 Mar 1825 in Godmanchester Huntingdonshire England, was baptised in 1825 in St Mary the Virgin Godmanchester Huntingdonshire England, died on 16 Aug 1869 at sea off the Madeira Islands Portugal at age 44, and was buried on 16 Aug 1869 at sea off the Madeira Islands Portugal. 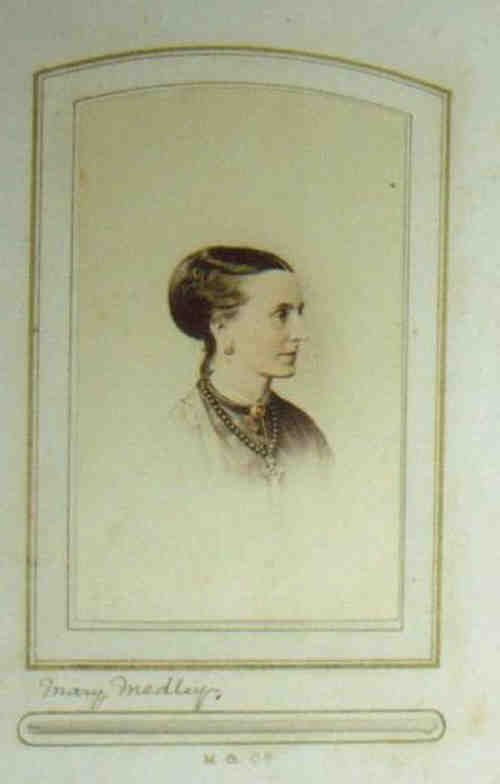 Henry married Anna Maria Dunbar DUFF  [MRIN: 32041] on 10 Jul 1860 in Calcutta Bengal India. Anna was born in 1837 in Calcutta Bengal India, was baptised on 14 Feb 1837 in Calcutta Bengal India, and died after 1869 in India. + 142 M i. Harry Ashton Duff FOX  was born on 4 Nov 1861 in India and died after 1895 in India. 143 F ii. Natalie Emily Taylor FOX  was born on 3 Mar 1863 in India. 144 F iii. Alise Mary St Leger FOX  was born on 29 Apr 1864 in India. 145 M iv. Robert William Conrad FOX  was born on 18 Sep 1865 in India and died on 25 Sep 1874 in India at age 9. + 146 F v. Helen Jane Ashton FOX  was born on 25 Jun 1867 in India. 89. Conrad FOX  (Dr. Robert FOX M.D.47, Frances MAPLES15, Susannah WILSON8, James WILSON II7, James WILSON I6, Edward WILSON5, Elizabeth COWPER4, Robert COWPER3, Joanna HUSKINGSON2, Johannes1) was born on 9 Dec 1826 in Godmanchester Huntingdonshire England, was baptised on 12 Dec 1826 in St Mary the Virgin Godmanchester Huntingdonshire England, died on 14 Mar 1871 in London England at age 44, and was buried on 17 Mar 1871 in St Mary the Virgin Godmanchester Huntingdonshire England. • Immigration: 24 Aug 1841, New York New York USA. • Occupation: a Wholesale Druggist, New York New York USA. Conrad married Susan Eliza GOLDING  [MRIN: 32045], daughter of John Green GOLDING  and Cornelia Maria VAN BOEKEL , on 6 Dec 1854 in Trinity Church Hoboken Hudson Co. New Jersey USA. Susan was born on 5 Jul 1828 in Perth Amboy Middlesex Co. New Jersey USA and died after 1897 in United States of America. 147 M i. Henry Ashton FOX  was born on 12 Mar 1857 in Hudson City [Jersey City] Hudson Co. New Jersey USA and died after 1897 in New Jersey USA. • Occupation: a Midshipman in the British Merchant Marine Service, 1874. Walter married Mary Frances McDERMOTT  [MRIN: 32049], daughter of John McDERMOTT  and Ellen , on 28 Sep 1889 in St Cecelia's New York New York USA. Mary was born on 9 Jul 1865 in New York New York USA and died after 1889 in United States of America. 93. Basil Kirke TAYLOR  (Mary Caroline FOX50, Frances MAPLES15, Susannah WILSON8, James WILSON II7, James WILSON I6, Edward WILSON5, Elizabeth COWPER4, Robert COWPER3, Joanna HUSKINGSON2, Johannes1) was born on 11 Sep 1831 in Coveney Cambridgeshire England, died on 3 Nov 1876 in Parnell Auckland New Zealand at age 45, and was buried on 4 Nov 1876 in St Stephen's Church Parnell Auckland New Zealand. General Notes: Attended Islington College & Queen's College, Cambridge. Clerk, & Clergyman, Missionary. Ordained 1858. Left England in 1836 on the "Prince Regent", sailing to Sydney, Australia. Came with his father & brother, Arthur, to Bay of Islands in 1839 in the "Nimrod". After marriage in 1863 to Edith Palmer TYLEE of Bath in the Taurarua Church in Auckland, they lived in Wanganui. "Cossington" (9 Campbell St,Wanganui) was named after the parish in Leicestershire, England, where Basil had been curate from his ordination until his departure for N.Z. in 1860. Margaret Barton (niece) recalls "During this period (after her father died in 1873) my Grandmother Taylor & Uncle Basil (Mary Caroline FOX & her son, Basil Kirke TAYLOR) had a trap accident at Turakina. Grandmother TAYLOR had her leg broken, and was taken to "Ann Bank" the residence of the Lethbridges? where she was nursed. Uncle Basil was thrown out and a wheel passed over his chest. This subsequently caused his death. He went to Auckland for a change and stayed with Archdeacon Dudley. He became very ill and his wife, Aunty Edith, was sent for. As she was in delicate health, Basil then being only six weeks old, and she had to travel by a very small boat, my mother (Laura) accompanied her -Basil and my mother being particularly devoted to each other." Died on 3 Nov. 1876 in Parnell, Auckland of heart disease aged 45 yrs, and buried at St Stephens Church, Parnell. "A List of Graves 1843-91" magazine from this cemetery has been produced. Will filed 26/1/1877 in Wellington Ct. Clerk of Holy Orders, Wanganui. Probate No. 1013 - Wellington Archives. Basil married Edith Palmer TYLEE  [MRIN: 1077], daughter of John Palmer TYLEE  and Mary Elizabeth PERRY . Edith was born on 1 Apr 1839 in Bath Somerset England, died on 25 Oct 1914 in Wanganui New Zealand at age 75, and was buried in Heads Road Cemetery Wanganui New Zealand. 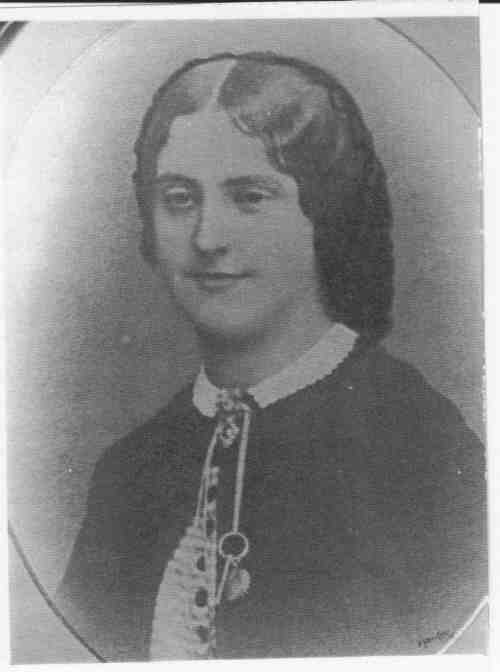 General Notes: Edith was the 2nd daughter - an older brother had gone to Wanganui and became a friend of Rev. Richard Taylor who took over the Putiki CMS Mission Station in 1843. Later Edith & Basil became engaged. She sailed from Gravesend leaving 1 August 1863, and Basil met thesailing ship 'Queen of the Mersey' when she reached Auckland on 26 November 1863 and took his betrothed to stay with Sir William & Lady Martin at Judge's Bay, Parnell, and they were married on 3 Dec. 1863 by the Bishop of Waiapu at the nearby little St Stephen's Chapel. Edith wrote a diary of the voyage to NZ. missionary folk stayed with Mrs Taylor at Cossington, and she was much loved by all who knew her. For a long time she was Scripture Union Secretary for the Wanganui District, and that position was taken over by her younger son, Basil Maples Taylor. Buried in Heads Rd, Wanganui cemetery. She was called 'Grannie', always dressed in black, and on her white hair she wore a circle of white lace - the custom for old ladies. + 151 F i. Mary Edith Laura TAYLOR  was born on 1 Dec 1864 in Putiki Wanganui New Zealand, died on 7 Dec 1941 in Wellington Wellington New Zealand at age 77, and was buried in Heads Road Cemetery Wanganui New Zealand. 152 F ii. Bertha Cecelia TAYLOR  was born on 11 Nov 1866 in Putiki Wanganui New Zealand. Another name for Bertha was Cissie. She died in 1946 in Wanganui, and was buried at Heads Rd Cemetery,Wanganui. "In Loving Memory of Bertha Cecilia, second daughter of the late Rev. B.K. and E. P. TAYLOR, passed to her rest Feb. 5th 1946 aged 79 years. 'Her life is hid with Christ in God'." + 153 M iii. Herbert Richard Stovin TAYLOR  was born on 24 Feb 1868 in Putiki Wanganui N Z, died on 17 Aug 1948 in Wanganui New Zealand at age 80, and was buried in Heads Road Cemetery Wanganui New Zealand. 154 F iv. Ethelred Rose Annie TAYLOR  was born on 1 Dec 1870 in Putiki Wanganui New Zealand, died on 23 Aug 1930 in Wanganui New Zealand at age 59, and was buried in Heads Road Cemetery Wanganui New Zealand. General Notes: Never married. Ethel was a trained physiotherapist and operated her practice from a front room at Cossington. Ethel was a buxom, jolly woman with a great sense of humour. She was always teasing, and called her youngest brother 'Skim', a nickname she had given him because as a little boy he was obliged to have skim rather than whole milk! In 1893 she was living at Campbell St, Wanganui as a governess. She once put cotton wool in her mouth to disguise her voice and padded her clothes, and rang her brother Herbert, saying she had violent toothache and could he see her straight away. Apparently Herbert didn't recognise her until she was in the dentist's chair and, being the serious man he was, was not at all amused! She died in Wanganui on 23 August 1930, and is buried at Heads Rd Cemetery in the Taylor plot. "In Loving Memory of Ethelred R. A. TAYLOR, daughter of Rev. Basil Kirke and Edith Palmer TAYLOR. Called to her rest 23rd August 1930. 'There remaineth therefore a rest to the people of God'." 155 M v. Arthur John Spencer TAYLOR  was born on 10 May 1874 in Putiki Wanganui New Zealand, died on 20 Jan 1875 in Wanganui New Zealand, and was buried in Heads Road Cemetery Wanganui New Zealand. + 156 M vi. Basil Maples TAYLOR  was born on 7 Sep 1876 in Putiki Wanganui New Zealand, died on 20 Jun 1953 in Christchurch Canterbury New Zealand at age 76, and was buried in Woolston Cemetery Christchurch Canterbury New Zealand. 94. Laura TAYLOR  (Mary Caroline FOX50, Frances MAPLES15, Susannah WILSON8, James WILSON II7, James WILSON I6, Edward WILSON5, Elizabeth COWPER4, Robert COWPER3, Joanna HUSKINGSON2, Johannes1) was born on 26 Mar 1833 in Coveney Cambridgeshire England, died on 25 May 1887 in Wanganui New Zealand at age 54, and was buried in May 1887 in Wai Ora Cemetery, Mission Road, Westmere, Nr. Wanganui, New Zealand. General Notes: Left England in 1836 as a child of 3 yrs old - sailing in 'Prince Regent'and arriving in Sydney, Australia on 12 June 1836. In 1839 left for the Bay of Islands, NZ. 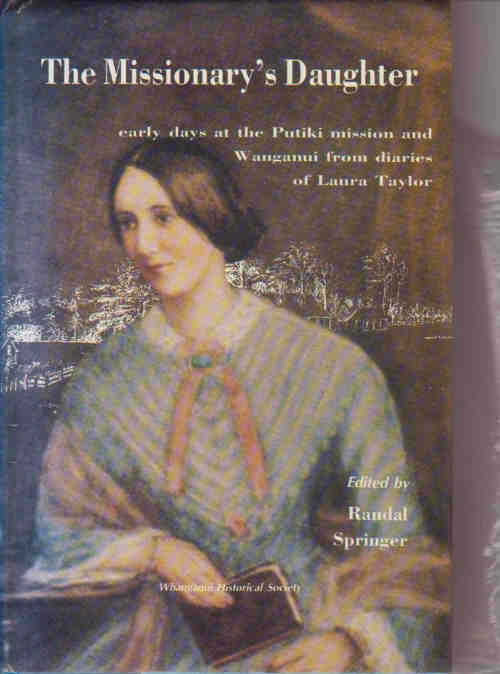 Lived in Putiki, Wanganui as a girl, and on 19 August 1844 her father wrote "I am afraid Laura is in very delicate health at present, she is so sensitive and yet is rapidly advancing in her studies being very intellectual." In 1859 she married Thomas Henry HARPER, lived and farmed at Wai Ora, Westmere, Wanganui. One of her bridesmaids was her god-daughter, Edith Emma TYLEE, daughter of John Thomas TYLEE, her brother). Henry & Laura had 6 children - Lucy, Henry (Harry), Annie, Margaret (Maggie), Thomas & George. Laura was stricken by the loss of Lucy in 1868 at the age of 7, and by the death of her husband in 1873. Even though considered to be of delicate health and suffering from frequent headaches, Laura managed the family, including her in-laws, and the farm at Wai Ora (500 acres) by herself. (Written by Maggie (Laura's daughter) in her diaries - My mother had to work very hard as there was no help in those days. We employed 6 men, and my mother had to cook for them as well as doing all the house work and looking after us 6 children. She was not strong and suffered from very bad headaches. She made all our clothes and had no sewing machine, made all the bread - about 50 loaves a week - and 100 pounds of butter besides jam, bottled fruit, home made wine, soaps, candles and cured all the bacon and hams. My further hurt his back lifting a heavy weight when he was 34 and paralysis set in and he was an invalid for 4 years. She also had to teach us as there was no school anywhere near. The house was 2-storied with 10 rooms (a large house) with gables and dormer windows so that the 4 bedrooms upstairs had sloping walls from the ceilings. It had a verandah and 1 steep staircase ascended from the hall. Round the house was a large garden. A short distance away was an orchard with all kinds of fruit trees. Writing poetry, particularly of a religious character, was a favourite relaxation of my mother (Laura). She also used to have very vivid dreams- also of a religious import." In 1877 Laura moved in to Wanganui to a new house in Ingestre St, but later moved to 'Sandown' in Campbell St to look after her mother. After her mother's death in 1884, Laura remained at 'Sandown', later taking a brief holiday in Australia with her daughters Annie & Maggie. Laura became ill on this trip and returned to Wanganui, where she remained until her death in May 1887. Died in her mother's home at Sandown, Wanganui, from typhoid on 25 May1887. Will filed 8 June 1887 at Wellington Ct. Probate No. 2805. Wellington Archives. Headstones in Wai Ora Cemetery, Mission Rd, Westmere, nr Wanganui. "Sacred to the Memory of Thomas Henry HARPER who departed this life at Wai Ora 26 June 1873 aged 38 yrs; also his wife Laura HARPER who went to her rest 25 May 1887 aged 53 yrs. also his wife Sarah HARPER who died 28 July 187 aged 63 yrs." Fiche showed a news clipping from Wanganui Chronicle dated 3 or 8-10-1981 'Homestead Life in 19th Century" + Chronicle 24-8-1981 - get. Laura married Thomas Henry HARPER  [MRIN: 4762], son of Thomas HARPER  and Sarah ALLEN , on 27 Oct 1859 in Putiki Wanganui New Zealand. Thomas was born on 2 Apr 1835 in Bristol Gloucestershire England, died on 26 Jun 1873 in Wai Ora Wanganui New Zealand at age 38, and was buried in 1873 in Wai Ora Wanganui New Zealand. General Notes: Henry was the only son of Thomas & Sarah HARPER. Henry's daughter, Maggie, wrote "I think my father's parents came out from England before my father, the only child, who was left in England studying medicine. He never finished his course and came out to join his parents. The arrangement when my father married was that he should have the farm, and the old people should move into town and build on a section of land they had on the river bank. My mother made them so comfortable that they stayed on at Wai Ora. I can never remember either of them doing anything to help, and it was a very unhappy state of affairs for my over-worked mother who was not the mistress of her own home. My grandmother was a martinet and very critical of the wife of her only son, even when my father was ill for so long. I can remember my grandfather as a short stout man with a moustache and clean shaven chin but a fringe of beard surrounding it. My grandmother wore very stiff silk dresses." Henry injured his spine at the age of 34 when lifting a heavy weight on the farm. He went to Sydney for treatment to no avail. Paralysis set in and he was bed-ridden. He suffered intensely for 4 years before his death at age 38 in 1873. He was interred in a private burial ground on the Wai Ora farm. 157 F i. Lucy Caroline HARPER  was born on 27 Mar 1860 in Wanganui New Zealand, died on 12 Feb 1868 in Wai Ora Wanganui New Zealand at age 7, and was buried in Wai Ora Wanganui New Zealand. The cause of her death was Cow Fever. General Notes: Died of childhood illness (cow fever) at 8 yrs of age; and buried on Wai Ora farm, Wanganui. + 158 M ii. Henry Spencer Grey HARPER  was born on 2 Aug 1862 in Wanganui New Zealand, died on 18 Aug 1918 in Wanganui New Zealand at age 56, and was buried on 20 Aug 1918 in Aramoho Cemetery Wanganui New Zealand. 159 F iii. Annie Laura HARPER  was born on 29 Dec 1864 in Wanganui New Zealand, died on 6 Aug 1937 in Wanganui New Zealand at age 72, and was buried on 7 Aug 1937 in Aramoho Cemetery Wanganui New Zealand.  Annie married Justin Arthur AYLMER  [MRIN: 4780] on 13 Apr 1895 in New Zealand. Justin was born on 12 Aug 1870 in Ross Westland New Zealand, died on 31 Dec 1958 in Wanganui New Zealand at age 88, and was buried in Aramoho Cemetery Wanganui New Zealand. General Notes: Great grandson of Sir Fenton AYLMER, 8TH Baronet of the Donadea branch. Will filed 2 Feb. 1959 in Wanganui Ct. Probate No. 22/59 - Wellington Archives. Occ - Gentleman. Died 31 December 1958 in Wanganui, and buried in Aramoho Cemetery, Wanganui. "Annie Laura AYLMER died 6th August 1937. Justin Arthur AYLMER died 31 December 1958." In Electoral Roll Christchurch District 1856-57 - Justin AYLMER, of Hororaia, stockowner - 10,000 acre run. + 160 F iv. Margaret Eleanor Dawson HARPER  was born on 31 Aug 1866 in Wanganui New Zealand, died on 20 Sep 1951 in Christchurch Canterbury New Zealand at age 85, and was buried on 26 Nov 1957 in Aramoho Cemetery Wanganui New Zealand [ashes only]. + 161 M v. Thomas HARPER  was born on 1 Jul 1868 in Wanganui New Zealand, died on 12 Feb 1930 in Waipukurau Hawke's Bay New Zealand at age 61, and was buried on 14 Feb 1930 in Aramoho Cemetery Wanganui New Zealand. 162 M vi. George Cecil Basil HARPER  was born on 4 Apr 1870 in Wanganui New Zealand, died on 8 Jun 1918 in Wanganui New Zealand at age 48, and was buried on 11 Jun 1918 in Aramoho Cemetery Wanganui New Zealand. General Notes: Attended Wanganui Collegiate School. Married in 1893 to Celia Leah Wilmor McKENZIE, and had no children. Died in 1918 aged 48, and buried at Aromoho, Wanganui. (Blk E, Row 4,Plot 246-7). Wife Celia Leah bur 22/9/1943 in Plot 247.
Letters of Administration filed 21 June 1918 in Wanganui Ct.
Probate No. 69/18 - Wellington Archives. George married Celia Leah Wilmor McKENZIE  [MRIN: 4785], daughter of Thomas Wilmor McKENZIE  and Unknown, on 6 Jun 1893 in New Zealand. Celia was born on 13 Oct 1868 in Wellington Wellington New Zealand, died in Sep 1943 in Wanganui New Zealand at age 74, and was buried on 22 Sep 1943 in Aramoho Cemetery Wanganui New Zealand. 95. Mary Catherine TAYLOR  (Mary Caroline FOX50, Frances MAPLES15, Susannah WILSON8, James WILSON II7, James WILSON I6, Edward WILSON5, Elizabeth COWPER4, Robert COWPER3, Joanna HUSKINGSON2, Johannes1) was born on 8 Jul 1835 in Coveney Cambridgeshire England, was baptised on 2 Aug 1835 in Coveney Rectory Cambridgeshire England, died on 17 May 1922 in Wellington Wellington New Zealand at age 86, and was buried in Karori Cemetery Wellington New Zealand. General Notes: God-parents: her Uncle Rev. George Fox; her Aunt Charlotte Fox; and Madam Bace-Boffinger. 1836 Left England as a 7 months old child, with parents and elder siblings on the 'Prince Regent' sailing to Sydney. 1839 Sailed to Bay of Islands, New Zealand aged 4 with her mother, sister and younger brother. 1843 When the family arrived and settled in Wanganui, she was aged 7 years. Mary Catherine Taylor lived in Putiki as a girl and from a young age made a major contribution to the running of the mission station. She assisted in the tasks associated with the mission in the years before her marriage. On numerous occasions she accompanied her father on some of his missionary journeys. She was the first lady to accomplish the arduous feat of riding on horseback to Auckland. 1853 She accompanied Governor George Grey on a trip. 1860 Went by ship with her father to Auckland. 27 Apr 1861 Lt. Spencer Mansel Medley (in the Royal Navy) was already courting and unofficially 'engaged' to Mary by this date, however they did not marry until December 1863. 16 Mar 1863 Mary was rescued from drowning by her sister Bertha at Wanganui Heads. 16 Dec 1863 Rev. Richard Taylor conducted his daughter's marriage, recording "I married Mary to Mr Medley, he is a Lieutenant in the navy and third son of the Bishop of Fredericton, New Brunswick. I found it a difficult task to read the service. Major Durie gave Mary away. The church was prettily decorated with flowers and nikau palm leaves. We had about 22 to the breakfast." 1865 After the service of her husband came to an end in New Zealand, they settled in England, but returned to New Zealand later. 1881 British Census: Mary C. Medley, Age 45. Dwelling: Elstow Villa, Tormoham, Devon, England. It was soon after her husband's retirement in 1883 that the family immigrated permanently back to New Zealand and settled at Wellington. 1884 Mary was an artist and sketchbook artist, and appears to have travelled and sketched various parts of the north island of New Zealand with her sister Laura Harper, as both artists have sketchbooks of very similar views. For a record of her artworks, see below. 19 Dec 1884 Mrs Capt Medley had a narrow escape from drowning. She was knocked overboard and saved by an oar thrown to her before the boat could be brought around. 23 May 1885 Mary attended the wedding of her niece Mary Edith Laura Taylor to Alexander Peebles Webster, at Wanganui. 1910/1 Mary probably visited England at this time, as there are autographs of her aunt Mary Lousada Bacon (1811-1912) and cousin Gertrude Bacon Foggitt (1874-1949) in her autograph book signed in January 1911. In her later years Mary was involved in the suffragette and temperance movements in the interests of Maori women. Mary Catherine Taylor Medley collected a book of the signatures of some notable political figures of her day covering the period 1860-1922 (including Winston Churchill, Lloyd George, and the then Prince of Wales, Prince Edward (later King Edward VIII), and of her extended family members. She enjoyed a full social life with many distinguished friends, including the occupants for the time being of Govt. House, or Bishops Court, and various politicians, and she always entertained officers of visiting Naval vessels, and was entertained by them. By all accounts she had a charming personality, and "endeared herself to a very wide circle of friends". Her nephew Cranleigh Barton recalled "Aunt Mary was always poised and gracious and very good company." She ended her days in Wellington, living with her unmarried daughter Adela at 15 Upland Road, Kelburn. She was invalid for some time before she died. Will filed 29 May 1922 in Wellington Ct - Widow. ProbateNo. 32288 - Wellington Archives. Mary married Capt. Spencer Mansel MEDLEY RN  [MRIN: 4764], son of Rt.Rev. Lord Bishop John MEDLEY D.D. L.L.D. and Christiana BACON , on 16 Dec 1863 in St Paul's Putiki Wanganui New Zealand. Spencer was born on 26 Jan 1837 in Kenwyn Cornwall England, was baptised on 18 Apr 1837 in Kenwyn Cornwall England, died on 28 Jan 1893 in Mount View Asylum Wellington Wellington New Zealand at age 56, and was buried on 31 Jan 1893 in Karori Cemetery Wellington New Zealand. The cause of his death was Degeneration of the Brain. General Notes: Sponsors: Rev. 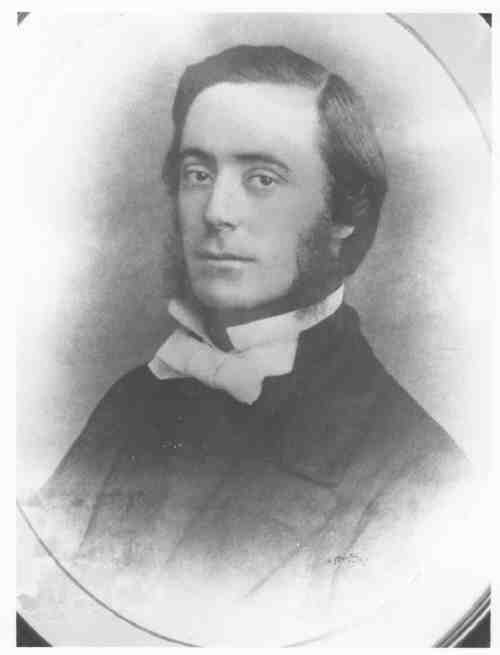 Spencer Percival Mansel (whom he was named after), son of Rt. Rev. 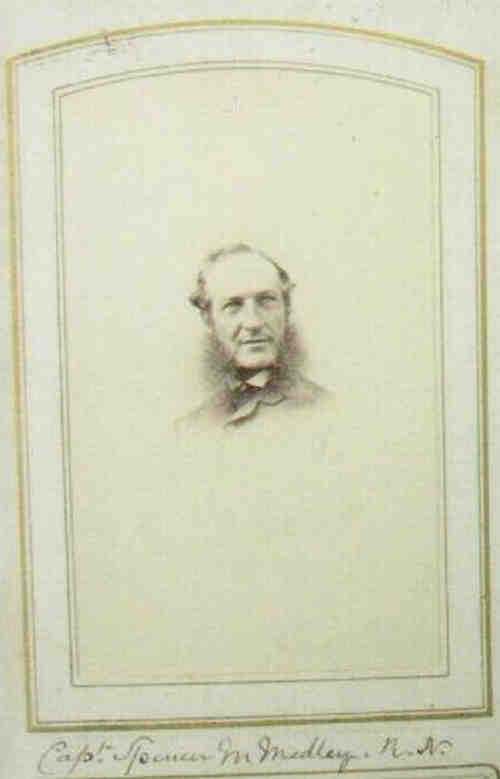 William Mansel, Bishop of Bristol; his aunt Miss Elizabeth Bacon (1815-1867); and the Rev. R. Lampen. 10 Jun 1845 when he was 8 years old the family arrived in Fredericton, New Brunswick, Canada, his father having been appointed the Bishop there. Spencer served in the Royal Navy from 1857-83. He was on Australian, East Indies and China stations 1857-66 in the Pelorus, Iris, Harrier, and Princess Royal. 02 Feb 1857 Mate (Seniority date). 17 Aug 1857 appointed to: H.M.S. Pelorus (steam corvette East Indies and China). 1857-9 Spencer kept a daily Journal of his travels in H.M.S. Pelorus. 19 May 1859 Lieutenant (Seniority date - until 1871). 19 May 1859 appointed to: H.M.S. Iris (6th rate Australian station). 05 Apr 1861 appointed to: H.M.S. Pelorus (Australian station). 27 Apr 1861 Spencer was already courting Mary Catherine Taylor, and they were unofficially 'engaged' by this time, although they did not marry until December 1863. 24 Jan 1862 He was appointed to: H.M.S. Harrier (steam sloop Australian station). 1863 at the time of his marriage he was serving as Aide de Camp to Governor George Grey, Capt., R.N., Governor of New Zealand (bc1811); he was also for a time private Secretary to Sir George Grey. Spencer served in the Taranaki War with the Naval Brigade. 07 Sep 1865 appointed to: H.M.S. Princess Royal (steam 2nd rate, China). 1866 Spencer's service in New Zealand came to an end and the family settled in England but returned to New Zealand later. 1867 He was an officer at Portsea, England. Jul 1867 the family were living at Portsmouth, near Winchester when Rev. Richard and Mrs Taylor visited England with their youngest daughter Bertha; and Rev. Taylor baptised their son Selwyn, his grandson, who was born in October. 16 Sep 1867 Spencer was appointed to: H.M.S. Victory (flagship Portsmouth). He had the honour of serving as a lieutenant on board Nelson's old ship the Victory in Portsmouth Harbour, under Capt. Beauchamp Seymour, afterwards Lord [?]. 28 Dec 1868 Lieutenant Medley's service aboard the Victory came to an end. 08 Jan 1869 He was appointed to: H.M.S. Orontes (Particular Service). 1871-83 Inspecting Officer, Coastguard in the Banff, Inverness and Dartmouth divisions. 29 Dec 1871 Commander (Seniority date - until 1883). 06 Nov 1873 Inspecting Officer H.M. Coast Guard. He commanded coast guard stations and in that capacity acted as inspector and supervisor of naval reserves. In this latter connection he, likewise, commanded a naval reserve drill ship. 1881 British Census: Spencer M. Medley, age 44, Commander R.N. Active List (Navy Officer). Dwelling: Elstow Villa, Tormoham, Devon, England. 01 Jul 1882 - 01 Jul 1883 Spencer kept a small note book he titled "Money Investments", purchased from Hudson & Kearns, Southwark St, Manufacturing Stationers. Most of the pages were cut out of the notebook at a later date leaving only two which listed: 1883 June 15th: Halcombe 150/ at 9 % for 3 years; Beattie 600/ at 9% for 7 years; Milne 400/ at 8% for 5 years; June 20th: Possel 200/ at 8% for 7 years; Lorenson 100/ at 10% for 5 years; and July 1st: Harris 600/ at 8% for 7 years. On the front cover he had written: "Captn. S. M. Medley, RN." 1883 Retired List. In 1883 he retired from the service with the rank of Commander. It was after his retirement that the family immigrated permanently back to New Zealand and settled first at Wanganui and then at Wellington. Their son Selwyn either went with them or else (due to studying) followed afterwards. Spencer must have been appointed Captain upon his retirement, prior to returning to New Zealand, however he was not gazetted "Post Captain" until 1886. 14 Mar 1884 It is reported that Capt Medley of Wanganui favours Westport beer. 27 Jun 1884 Capt Medley is chief mourner at the funeral of his mother-in-law Mrs Richard Taylor. 25 Jul 1884 Capt Medley elected Synodsman to represent Wanganui at Diocesan Synod in Wellington. 19 Feb 1886 Capt S M Medley RN appointed Aide de Camp to Governor Sir William Jervois, during his term of governorship. 29 Dec 1886 Captain (Retired List - Seniority date), Gazetted Post Captain, Royal Navy. 06 Jul 1889 Capt Medley is said to be among the applicants for the post of Sergeant-at-Arms. Spencer was decorated with the Crimean and New Zealand Medals. He was 'for some time in the Wellington Asylum' before he died there. Buried in Karori Cemetery with his wife and daughter, Adela. "Adela MEDLEY b.9 Sep 1864 d. 3 Oct 1934. Mary Catherine MEDLEY b. 8July 1835 d. 17 May 1922. Jesu Mercy. Here rests the body of Capt Spencer Mansel MEDLEY, R.N., 4th son of the first Bishop of Fredericton, Canada. He dep this life 26 Jan 1893 a. 56yrs. RIP. In hope of the resurrection to eternal life." 163 F i. Adela Mary Constance MEDLEY  was born on 9 Sep 1864 in Auckland Auckland New Zealand, was baptised in 1864 in St Mary's Parnell Auckland Auckland New Zealand, died on 3 Oct 1934 in Wellington Wellington New Zealand at age 70, and was buried in Karori Cemetery Wellington New Zealand. General Notes: Baptised at St Mary's, Parnell, Auckland by the Bishop Selwyn. Sponsors: Bishop George Augustus Selwyn, D.D., First Bishop of New Zealand and Lichfield (1809-1878); Admiral Parkin, R.N. ; her aunt Miss Bertha Charlotte Augusta Taylor (1842-1878); her grand-aunt Miss Elizabeth Bacon (1815-1867); Lady Martin (d aft 1884; wife of Sir William Martin). Adela performed frequently at charitable and other concerts. 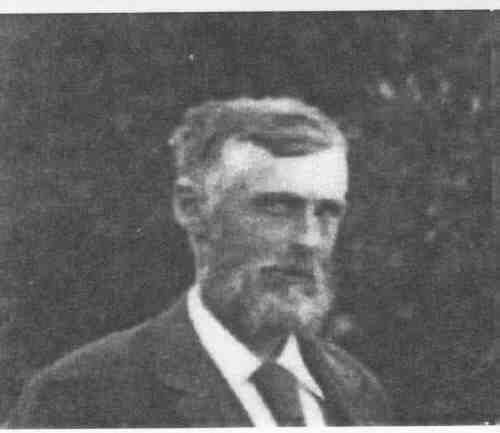 Alexander Peebles Webster, at Wanganui. 29 May 1885 At the Wanganui Fire Brigade fancy dress ball, Adela went as a butterfly. 05 Sep 1889 Miss Medley played two piano solos at a concert in the Tinakori schoolroom at Wellington. 1893 Electoral Roll: Adela was a Music Teacher living at 29 Pipitea St, Wellington. 1919 Lived at Wellington. She nursed her mother who had become a confirmed invalid. In later years she may also have been known as: Adela Spencer Medley. High Commendation and were published. A few years before she died she played upon the grand organ at the Wellington Town Hall. She made occasional trips to England, and endeared herself to a wide circle of friends. In thought, act, and spirit she was in the full sense a Christian woman, and she never up to the time of her death missed her Sunday attendance at church. Died, (evening of) Wed 03 Oct 1934 (suddenly, and unexpectedly, whilst dressing to attend a reception at Government House, she collapsed and died) at her residence 15 Upland Road, Kelburn, Wellington, New Zealand. "Adela MEDLEY born 9 September 1864, died 3 October 1934." + details of her parents. + 164 M ii. Capt. John Spencer Selwyn MEDLEY  was born on 8 Oct 1867 in Winchester Hampshire England, was baptised in 1868 in Kings Worthy Church Winchester Hampshire England, died on 23 Jul 1937 in New Plymouth Taranaki New Zealand at age 69, and was buried on 24 Jul 1937 in Te Henui Cemetery New Plymouth Taranaki New Zealand. 165 M iii. John L MEDLEY  was born in 1868 in Winchester Hampshire England. 96. Robert Cecil TAYLOR  (Mary Caroline FOX50, Frances MAPLES15, Susannah WILSON8, James WILSON II7, James WILSON I6, Edward WILSON5, Elizabeth COWPER4, Robert COWPER3, Joanna HUSKINGSON2, Johannes1) was born on 24 May 1837 in Liverpool Colony of New South Wales, died on 10 Jan 1909 in Auckland Auckland New Zealand at age 71, and was buried on 12 Jan 1909 in Purewa Cemetery Auckland New Zealand. General Notes: Cecil was born at Liverpool, NSW, Australia. Youngest son of Richard & Mary TAYLOR. Baptised 5 July 1837 by Rev Y Gunther, missionary. His sponsors were the Rev H Bobart, M.A., Church missionary to NZ, John Betts Esq of Parramatta and Mrs Allan of Moonbank near Liverpool. He spent a short interlude at a school in Sydney with his brother, Basil. After his return to Putiki, Wanganui, his time was spent mainly in helping about the mission property tending to stock. He later commenced farming at Kaitoke, near Wanganui. In 1860 Cecil was required to serve in the militia, and in 1862 Octavius Had field appointed him to the superintendency of the mission farm at Otaki at a salary of 140 p.a., but it did not last. In 1865 he was appointed as assistant superintendent in the local military transport service under James Booth at 10/- a day plus rations, but this did not last either. Cecil married Elizabeth Paul DUFFUS at Mangonui, Northland in 1866. They had 6 children, and the first 3 children were born in Wanganui. About 1870 they shifted north and farmed at Orua Rangi near Auckland. Elizabeth's father, John DUFFUS, died in 1870, so they possibly took over his land. His father suggested Cecil make use of the land he had purchased in the Far North, so went to visit it. "Much worthless land is included, but all the land near the sea is good and well grassed". His father thought it was a good place for growing banana, guava, oranges, lemons, sugarcane, coffee, tea and yams. The land proved to be not a viable farm for that period. Different ideas were tried but Cecil was left to struggle. He died on 10 January 1909 in Auckland. Buried in Purewa Cemetery Auckland. Block D, Row 032, Plot 059. Aged 72, and lived at Sarsfield St. Occupation - Settler in Ponsonby on his Probate records (Will BBAE 15697014/09). Cemetery fiche states he was retired, and possible cause of death - senile decay. Headstone in Purewa: "In fond remembrance of Robert Cecil TAYLOR, son of the late Rev. Richard TAYLOR, M.A. ; born May 21 1833, d. Jan 10 1909." Robert married Elizabeth Paul DUFFUS  [MRIN: 4766], daughter of Rev. John DUFFUS M.A. and Maria Harriette PAUL , on 18 Dec 1866 in Mangonui Northland New Zealand. Elizabeth was born on 28 Feb 1832 in Tetbury Gloucestershire England, died on 20 May 1908 in Auckland Auckland New Zealand at age 76, and was buried on 22 May 1908 in Purewa Cemetery Auckland New Zealand. General Notes: Born in Gloucester, England. On 16 May 1838, Elizabeth sailed for Australia with her parents from England by the sailing ship "Eden", a little girl who was destined later to become one of New Zealand's early pioneers. She was Elizabeth Paul DUFFUS, the eldest daughter of the Rev'd John DUFFUS, M.A., Oxon., who was under appointment to the Australian Anglican Church. In 1848, after 10 years spent in NSW, the family came to NZ in search of a more congenial climate. For some time they lived in Auckland, later moving to the North, where a permanent home was made at Mangonui. There Elizabeth met and later was married to Robert Cecil TAYLOR, youngest son of the Rev'd Richard TAYLOR, M.A., Cambridge, one of the best known of the C.M.S. Missionaries to N.Z. Richly endowed with personal gifts of heart and mind, including a rarely keen sense of humour, Elizabeth Paul Duffus TAYLOR buoyantly faced all the limitations and hardships of early NZ life. She passed away on 20 May 1908 leaving to those who knew her a priceless memory of love and light-hearted courage based upon an intense faith in an over-ruling Power. She also died in Auckland, and is buried in Purewa Cemetery. Probable cause of death - senility. Next of kin is given as Rev E D McFarland, MtEden. He was the husband of her sister, Frances Maria PAUL. Grave - double plot, grassed, with white marable cross. "In Loving Memory of Elizabeth Paul TAYLOR, eldest daughter of the late Rev. John DUFFUS, M.A. ; born Feb. 28 1832, d. May 20 1908"
General Notes: Winston Taylor (b.1908) remembers playing with his cousins 'Amy, Inez & Myrta" - and often mentioned them. In 1893 Electoral Roll, she is stated as 'Artist' living in Mt Albert. Lived at 2 Kakariki Ave, Mt Eden when she died. "In Loving Memory of Amy Caroline d. 6 Nov. 1959; Edith Mary Paul d. 6 Jan. 1941; Annie Myrta d. 29 May 1957; Inez Laura d. 7 Nov. 1959. Beloved daughters of Robert Cecil & Elizabeth Paul TAYLOR." Will filed 4 Feb. 1960 in Auckland Ct. Spinster of Auckland. Probate No. BBAE 1570 0179/60 - Auckland Archives. 168 M iii. Percival Cecil Duffus TAYLOR  was born on 23 Feb 1869 in Wanganui New Zealand and died on 17 Feb 1878 in Mangere Auckland New Zealand at age 8. 169 F iv. Edith Mary Paul TAYLOR  was born on 9 Apr 1871 in Onehunga Auckland New Zealand, died on 6 Jan 1941 in Auckland Auckland New Zealand at age 69, and was buried on 8 Jan 1941 in Purewa Cemetery Auckland New Zealand. General Notes: Born in Onehunga, Auckland. My father, Winston Taylor, often talked of the 3 sisters (1st cousins once removed) Amy, Inez & Myrta. She married Edgar James McFARLAND in 1888. Amy Caroline b. 1867; Edith Mary Paul b. 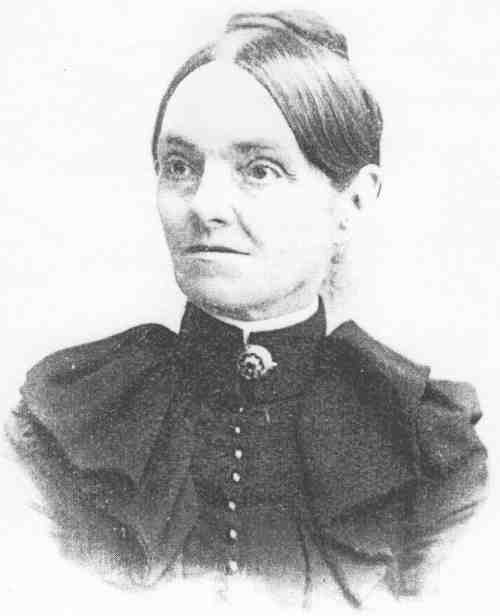 1871; Annie Myrta b. 1873; & Inez Laura b. 1876 all never married. Edith went to Stratford to housekeep for her nephew, Rev. Ken McFARLAND. Edith, Myrta & Inez all lived together at 2 Kakariki Ave, Mt Eden, Auckland. (Block A, Row 032, Plot 053) See Amy's Notes for Headstone. Edith was a Music Teacher and died in 1941 aged 69. Myrta died in 1957 aged 84. Inez died 7 Nov. 1959 aged 83. Amy was an artist and died 6 Nov. 1959 aged 92. 170 F v. Annie Myrta TAYLOR  was born on 29 Apr 1873 in Onehunga Auckland New Zealand, died on 29 May 1957 in Auckland Auckland New Zealand at age 84, and was buried on 12 Jun 1957 in Purewa Cemetery Auckland New Zealand. 171 F vi. Inez Laura TAYLOR  was born on 31 May 1876 in Mangere Auckland New Zealand, died on 7 Nov 1959 in Auckland Auckland New Zealand at age 83, and was buried on 9 Nov 1959 in Purewa Cemetery Auckland New Zealand. See Amy's Notes for general information & Headstone. Will filed 4/2/1960 in Auckland Ct. Spinster of Auckland. Probate No. BBAE 1570 0180/60 - Auckland Archives. 101. Charles MAPLES  (Susannah MAPLES51, Thomas Austin MAPLES16, Susannah WILSON8, James WILSON II7, James WILSON I6, Edward WILSON5, Elizabeth COWPER4, Robert COWPER3, Joanna HUSKINGSON2, Johannes1) was born on 14 Oct 1806 in Waddington Lincolnshire England and died in England. Charles married Mary MARFLEET  [MRIN: 32098].